The following men were lost while serving on USS Albacore (SS-218). For a brief history of the boat, please see The Loss of USS Albacore. In some sources, Sylvester Martin Wright, Steward's Mate, Second Class, is listed as being lost with his shipmates. Records in the National Archives show that he was transferred off the boat on October 28, 1944, immediately before she was lost. He is not listed in NARA, Navy Casualty, DPAA, ABMC, nor on the COMSUBPAC page. Source: individual personnel files, National Personnel Records Center, St. Louis, and muster rolls of USS Albacore. He served on LST-221 after the War. Origin of discrepancy (86) found in Sub Losses (1946 and 1963, although he is not listed in 1949) and in Christley, who mistakenly included Sylvester M(artin) Wright. *Previously, this page listed Roy Edgar Davis as an Albacore crew member. Research has shown that Ray Ellis Davis was the man who was lost with his shipmates on Albacore. The U.S. 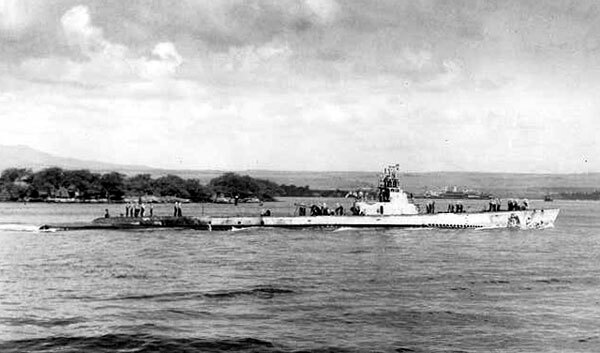 Submarine Veterans of World War II assigned USS Albacore (SS-218) to the State of Oregon.